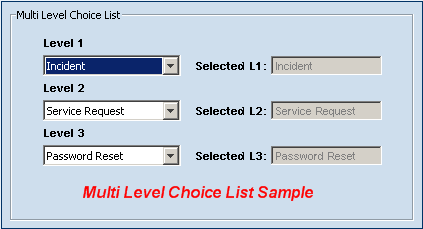 Q: Could you please show me how to display multi-level choice list in Amdocs smart client form (Eg: CASE_TYPE choice) . I’ve seen the guidance in AUIF_Programmers_Guide-M30113 document, but it’s not illustrated by image so I can not make it. 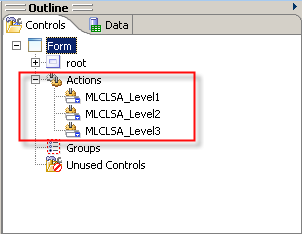 To display Multi-level choice list, you need to use Multi-level choice list submit action (MLCLSA). 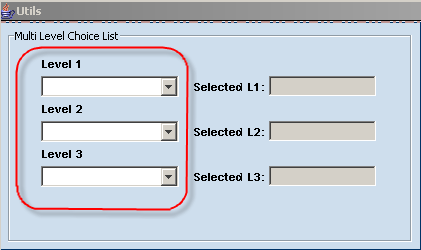 This action is used if change of selection in a ComboBox or ListBox needs to fetch choice list data to fill next level ComboBox or ListBox. 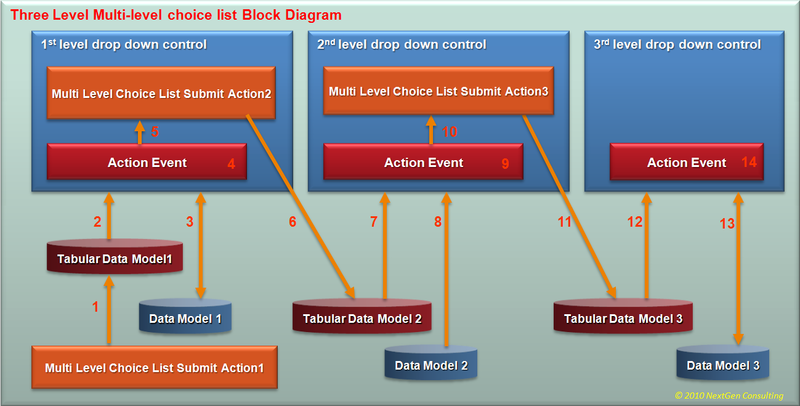 To display a 3 level hierarchical user defined choice lists, use the following example. We will use CASE_TYPE user defined popup list in this example. 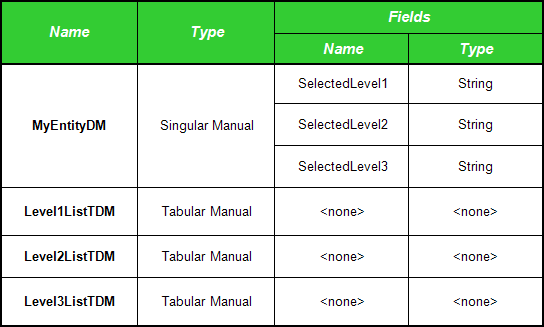 Add three ComboBox controls: cmbLevel1, cmbLevel2 and cmbLevel3. 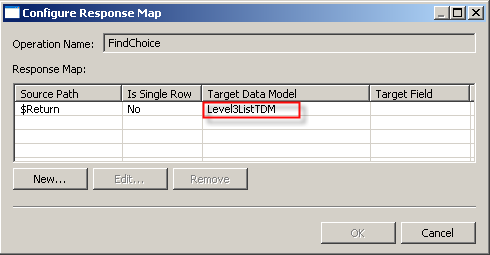 The server returns associated data as a hierarchical TDM to the client, according to the value set for returnAll parameter. Source Path need to be set to “$Return”. 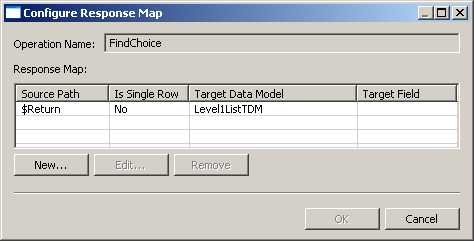 Target Data Model needs to be set to the TDM (defined on the form) to hold the choice list data. 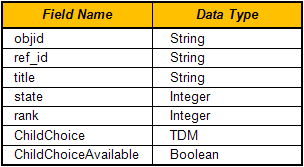 Each data model (row) in the TDM will have the following fields. The returnAll value affects the behavior of the properties ChildChoiceAvailable and ChildChoice according to existence of child choice lists. 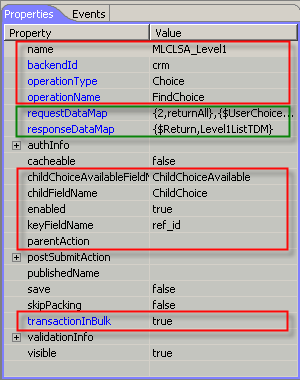 – The ChildChoiceAvailable indicates whether or not the current selected data model has a child tabular data model. – The result may contain all the choices for the given metadata id and the child choice lists for the default choice. – The result would include only the choices for the given metadata id. – The result contain the choices and all child choice lists for the given metadata id. 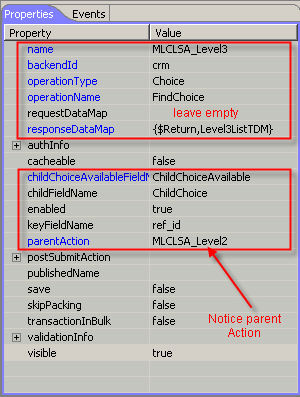 – ChildChoice=nested TDM containing the children, for all items. – ChildChoice = null, for all items. I have a question can u pls answer for me and whole community. 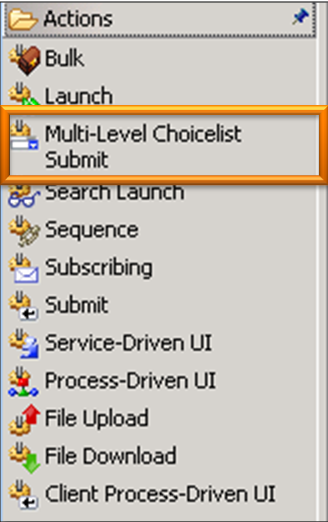 Presently amdocs has implemented transition maps for UDPL in clear support application. Transition maps can be customized. They can also be restricted to certain users. I shall refer to this issue soon. 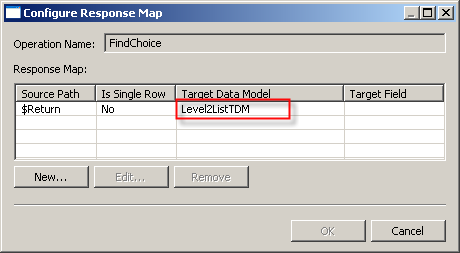 Could you explain about some parameters in MLCLSA_Level1 Request Map? The first parameter, returnAll = 2, what does it mean? If I set it is 1, what is the result? com.amdocs.uif.common.UifRuntimeException: An internal error has occurred. Please contact your System Administrator. XBean generated an unexpected error. Seems I’m missing the FindCaller bean somewhere. Any ideas? Mmmm wasn’t that exception, sorry, still, the description of the issue is valid. The exception ‘ClassNotFoundException’ means that one of the Jar files is missing from your environment. You need to search for the missing class thus identify the jar file to which it belongs. 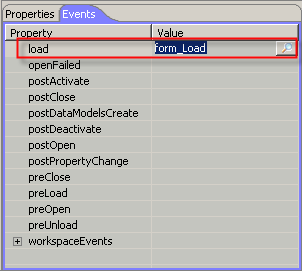 Once identified, make sure the missing jar file is properly located in your class path. I assume this missing jar should be located in your development environment (the uif designer eclipse plugin). we have a ubique situation where, we do not want to have a default value as “Not Applicable” – because if we display this, users generally tend to choose “Not Applicable”, and loose information. However there is data where the thrid level does not have any value, and a restriction that data cannot be saved without selecting a value. Is there a way to Set selected value as “Not Applicable”, programatically, when drop down does not have any value – question is how do we find if there is value coming from the DB.